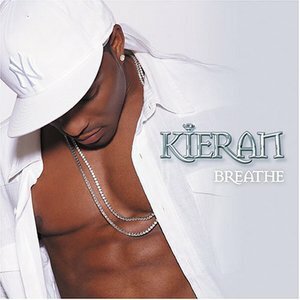 *Erm... lol okay....* Kieran Richard Wilson was born at Whiston Hospital on 19th November, 1988. He lived a happy toddler-hood, together with his family, in a semi-detached house in the North-Westerly town of St. Helens, England. From kindergarten years, his eyes could tell that little Kieran was on the seek for publicity!! From the tender age of four, Kieran was already snatching main parts of primary school plays. Kieran Richard Wilson was born at Whiston Hospital on 19th November, 1988. He lived a happy toddler-hood, together with his family, in a semi-detached house in the North-Westerly town of St. Helens, England. From kindergarten years, his eyes could tell that little Kieran was on the seek for publicity!! From the tender age of four, Kieran was already snatching main parts of primary school plays. His parents decided to proceed his drama talents by taking him to a local drama academy. There he spent 4 years practising his speech and his acting. At the age of 5, Kieran also decided to take up keyboard/synthesizer lessons. As Kieran grew up more, he started to realise that these talents of his were not to be a joke, they were to be a step forward to many things in the future. At the age of eleven, Kieran had to make do with a huge change in his life. His parents decided to move to Malta. However, this did not stop him from carrying on acting. Infact he played some good role's in his school's plays: (Wizard Of Oz (2002), The Lion King (2003)). Kieran also got the chance to play the synthesizer infront of a hall-packed audience twice. With no thoughts of returning to his home country, Kieran looks settled to carryon his life here in Malta with his beloved friends and family. He is going to carryon his education to a higher level and he is also planning a future singing career urged by people who have listened to him sing. His first single which is to be promoted this summer is "Take A Chance" and is already being played on various radio stations in the Maltese Islands. Kieran say's :- "If you have a goal in life...don't give up until you've conquered it!"